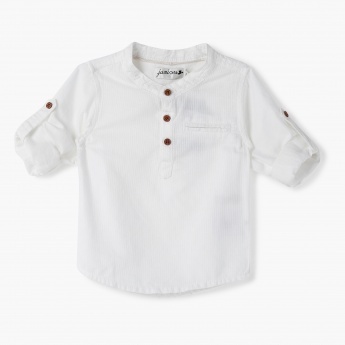 Ensure your little boy looks dapper in this light-toned pullover shirt. Designed with a chest pocket and roll-up tab sleeves, it features a subtle striped texture all over for an elegant effect. 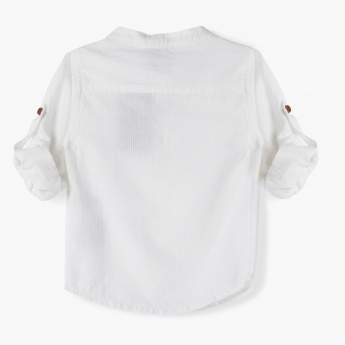 The contrast buttons add an element of interest.